Growing up I couldn’t tell you what (or even if) Easter egg my mum bought me each year. I can, however, tell you that in the weeks leading up to Easter we’d head out in search of the perfect Easter outfit. I’m not entirely sure how it all began, or whether it was just something she had always done since we were babies. Nevertheless, it was our Easter tradition. With a sister who was two years older I can recall us wearing matching outfits or ones very similar but in a different colour whilst we were younger. Thankfully there reached a point where we would select different outfits – although I would always take a look at the price ticket before I said whether I liked it or not. Always opting for the cheapest option as I was aware that my mum didn’t have that much money to be spending on new outfits. Now that I have my own children it is something that I have carried on. With a new outfit for them to wear especially for Easter Sunday. When it comes to kid’s fashion I’m quite lucky in that all three of the children give me free rein more or less on what they wear. Roo is just getting to the age where she is looking for more input into the decision making. Whereas I can remember receiving a pretty dress or shorts and t-shirt set for Easter. I am always conscious that the clothes that I buy for them are ones that get worn rather than just hung up in the wardrobe for special occasions. 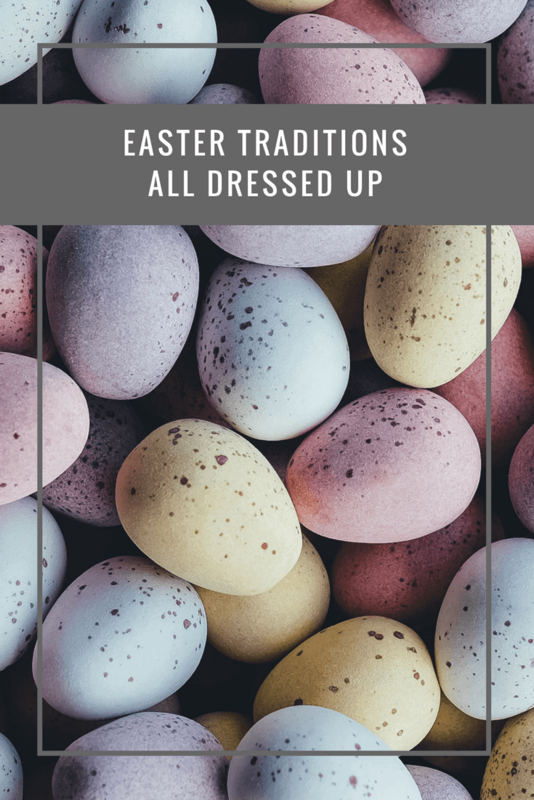 There are only so many special occasions throughout the year and the rate the children grow, it would be almost new before needing to be passed on to the nearest charity shop. For Tigger, I’m thinking some chino style shorts that will look smart with either a polo shirt or even a short sleeve shirt. Whilst I’d love to get Roo and Piglet matching tutu’s, I don’t think that Roo would be all that keen on that plan and whilst they look adorable not exactly practical for family adventures. So playsuits or even short style dungarees would be perfect. These could be teamed with t-shirts for a casual look or with a pretty cardigan for a smarter look – depending on what we are up to that day. This year, the children seem to have realised that Easter is on the horizon as they have all had a bit of a growth spurt. So alongside an outfit, they will also be treated to a pair of shoes to hopefully see them through the approaching Spring weather and into Summer. Perfect for family days out and adventures. Now I just need to try and get Mr Boo to agree that maybe I also need a new outfit… and shoes, of course! Do you buy your children a new outfit for Easter? Previous Post: « So you want to work from home?